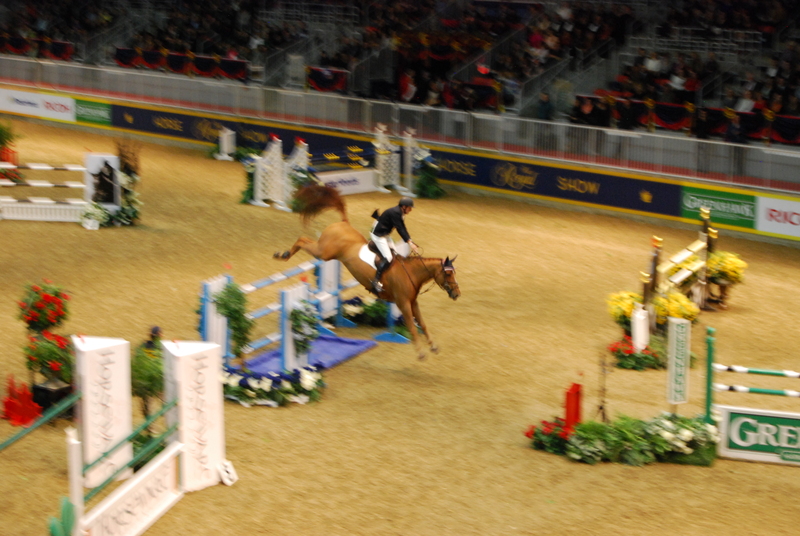 Congratulations to Yann Candele, and his horse Aboard Game Ready, who earned his third title win at the Greenhawk Canadian Show Jumping Championship opening weekend of The Royal Agricultural Winter Fair on November 2, 2013. While the fair is all about bringing the country to the city, specifically Exhibition Place along Toronto’s downtown lakeshore (farmers still show prized pigs, cattle and goats in judging rings), the highlights are the weekend evening horse shows, specifically the Canadian Show Jumping event and the International jumping competition the following weekend. Of course, it isn’t just about jumping either – there were Western demonstrations, draft horse team pulls, harness racers and performances by Horse Whisper Guy McLean who leads his four unbridled equine around like trained dogs. And horses aren’t the only thing jumping at the Royal either. 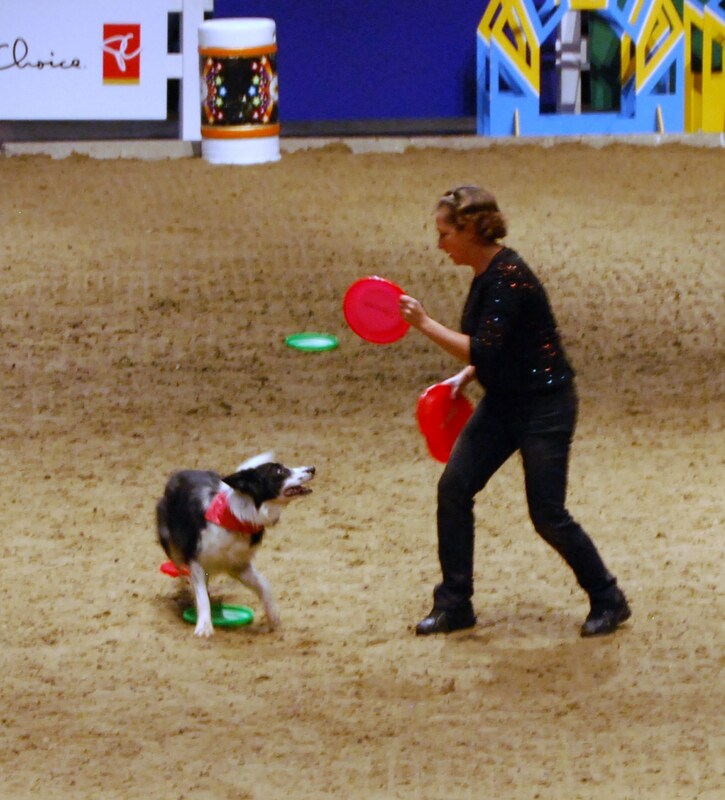 Two daytime shows by the President’s Choice Superdogs were at near capacity. Crowds lined up early to see family dogs like Gizmo and Kung Fu Panda race through obstacle course and leap over higher and higher jumps. 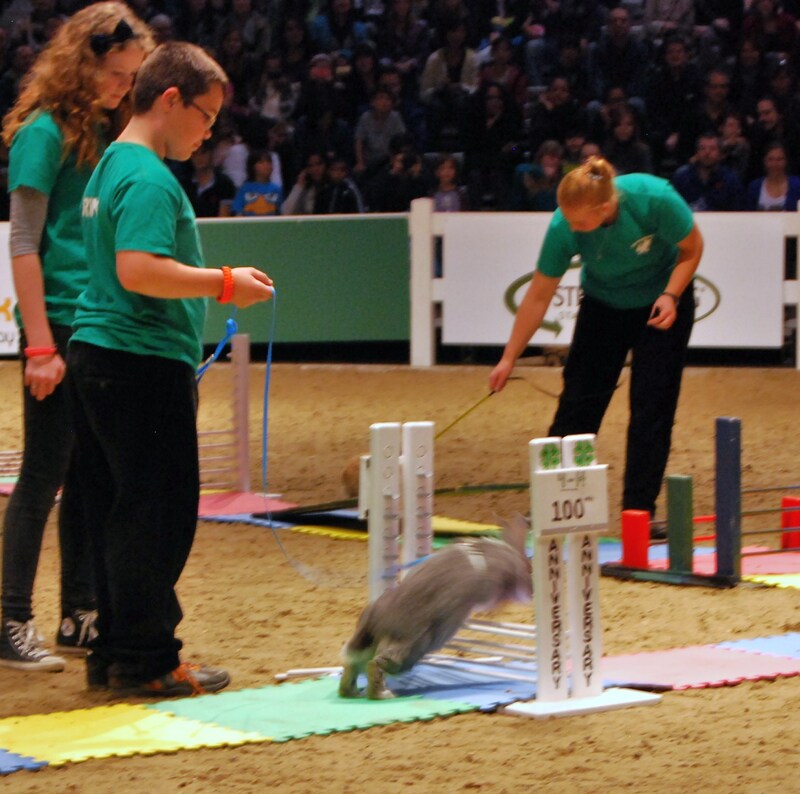 Following each of those shows was a new crowd favourite – this year moved to the larger President’s Choice Animal Theatre due to public enthusiasm last year: the 4H Rabbit Jumpers who awed audiences with their cuteness (both the kid handlers and bunnies) and agility over smaller obstacle courses designed for cotton-tail leapers. As bunnies and beagles increase in popularity, unfortunately the horse presence waned a bit this year, not in interest (the evening horse shows and ticket prices still float The Royal) but in sponsorship. This year saw the same number of riding equipment and accessories vendors, but the area lacked its own demonstration ring, viewing stalls and ‘Spirit of the Horse’ section. Instead, Spirit of the Horse demonstrations shared space with other animal acts in the President’s Choice theatre – a testament perhaps to the economic hit the horse industry took last year. 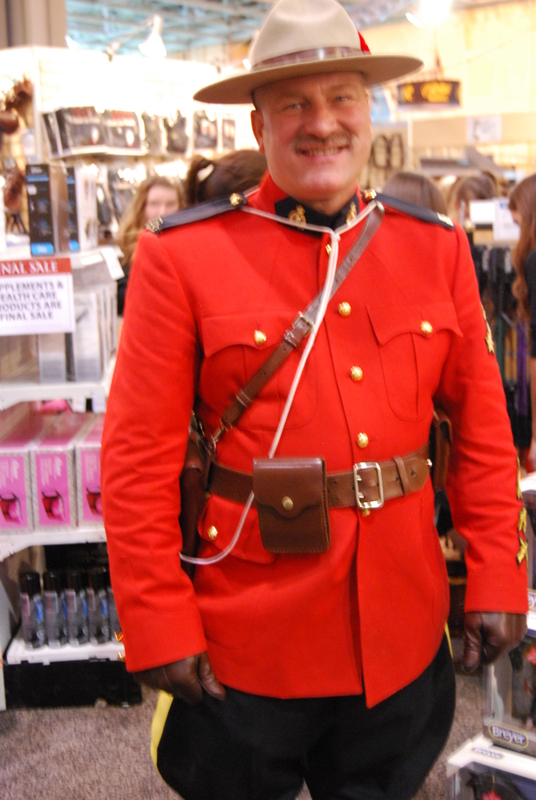 Vendors like Greenhawk had significant presence as both sponsors and a large booth hosting appearance from Musical Ride Mounties, including Toronto PR director, a veteran of the Ride. And speaking of veterans, 66-year-old and Canadian icon Ian Millar took second place astride Star Power at the Canadian Show Jumping Championships proving to fans he’s showing no sign of weakness. He graciously signed autographs to four adoring fans (me and three others with me) who tracked him down at his family business’ horse stalls immediately after the competition. Surprisingly, the stall area is open to the public throughout the entire fair, a thrill for star-gazing horse-loving fans like us. 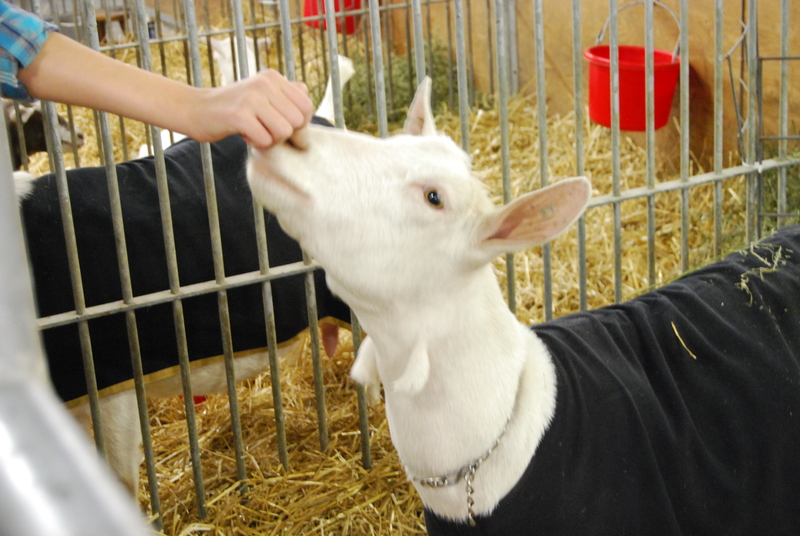 Check out other horsetrotting.net coverage of the 2014 and 2015 Royal Winter Agricultural Fair in Toronto, Ontario.